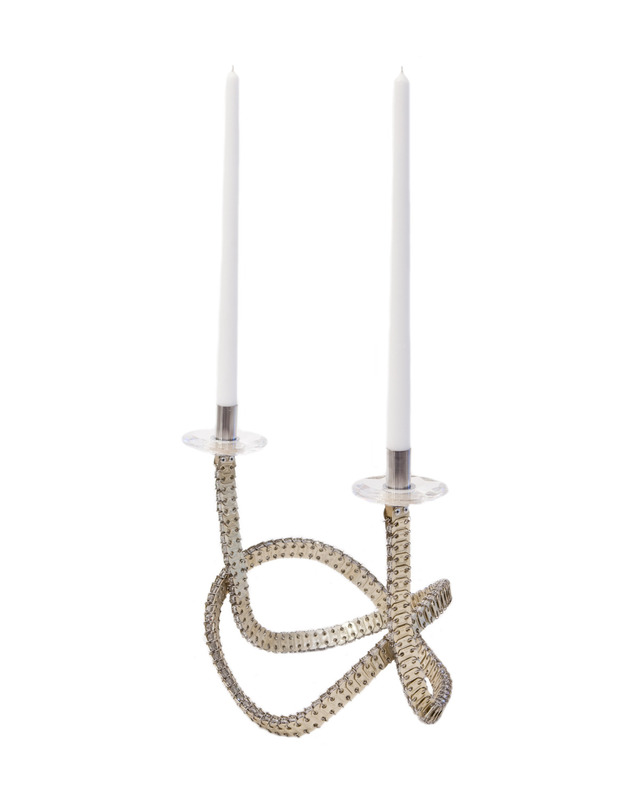 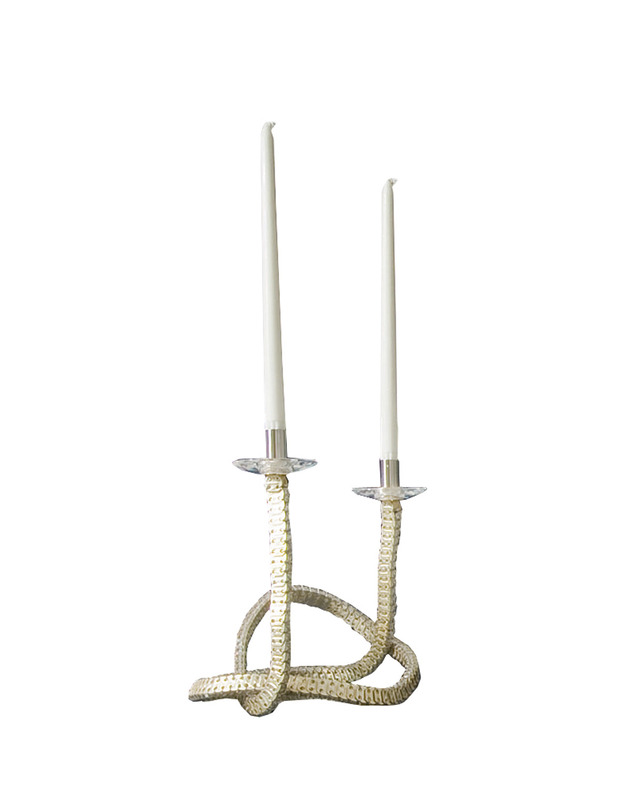 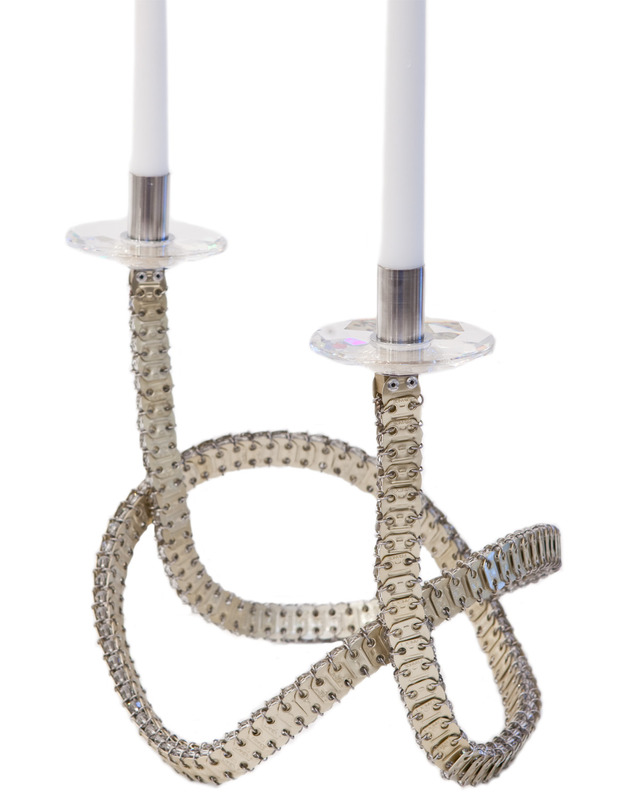 Candle holder with a flexible metal structure and freely modelled with two candle supports, plates decorated in Swarovski crystal. 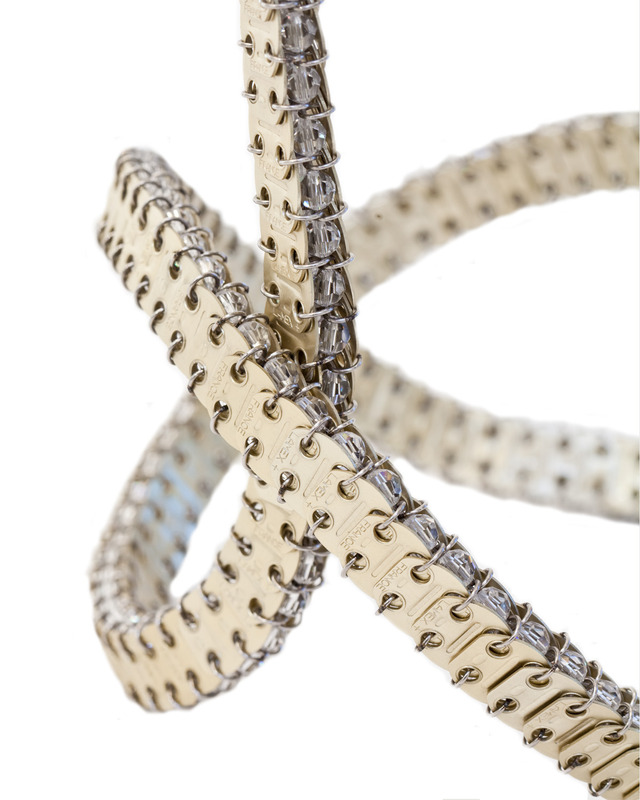 244 Swarovsky crystal beads included in the body. 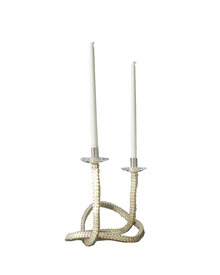 Colour: champagne.